Brand new LIFTER shirts and tank tops available now! Like free stuff? All LIFTER orders starting TONIGHT Friday 1/17 at midnight through midnight on Sunday get 20% off all full priced items! Tons of new Lifter Clothing items. Shirts, hoodies, tanks, women's shirts... check them out! 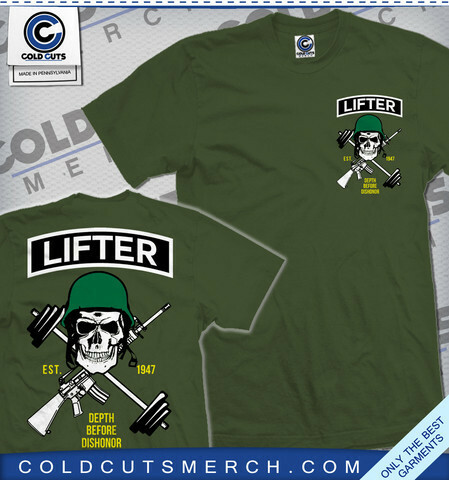 Tons of new Lifter Clothing items. Shirts, hoodies, tanks, women’s shirts… check them out! Our buds at Lifter Clothing just unveiled some new items in their store today. So step away from the squat rack and put down the protein shake, but only long enough to get the new goods from Lifter today. Go heavy or go home, but either way, make sure you rerack your damn weights. New items up now for the Lifter Clothing store, including an expansion of the crowd favorite "Lifters of the Weights" design, now featured on a hoodie. Get your protein in.